The AD7730 is a complete analog front end for weigh-scale and pressure measurement applications. The device accepts low level signals directly from a transducer and outputs a serial digital word. The input signal is applied to a proprietary programmable gain front end based around an analog modulator. The modulator output is processed by a low pass programmable digital filter, allowing adjustment of filter cutoff, output rate and settling time. The part features two buffered differential programmable gain analog inputs as well as a differential reference input. The part operates from a single +5 V supply. It accepts four unipolar analog input ranges: 0 mV to +10 mV, +20 mV, +40 mV and +80 mV and four bipolar ranges: ±10 mV, ±20 mV, ±40 mV and ±80 mV. The peak-to-peak resolution achievable directly from the part is 1 in 230,000 counts. An on-chip 6-bit DAC allows the removal of TARE voltages. Clock signals for synchronizing ac excitation of the bridge are also provided. 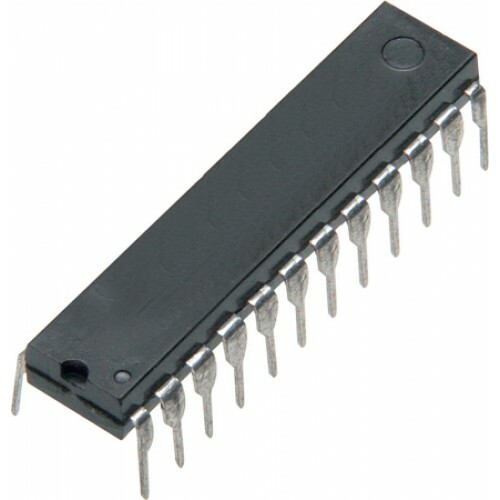 ADS1115 Module 16 Bit I2C ADCWant to measure precise analog values? ADS 1115 ADC Module will help yo..